Looking for a Boxster S manual in SoCal preferably. I am the car owner that will care for and love the car just like you did. I keep my vehicles immaculate and like to do some of the work myself. I understand that when we are talking 15-17 year old cars, they are not going to be perfect. Want mechanically sound. This will be my first Porsche and can't wait to join the rest of you. I just passed on a very nice car. 2000 Boxster S with 48,000 original miles, one owner with all the service records. I passed because of the IMS bearing fear issue. The car is in Florida and I was offered it for $10,500. I will pm you my email address if interested? I'm selling my 2002 Boxster S with 87k miles in the Seattle area, if you're still looking. PM me and we can set up a meeting. 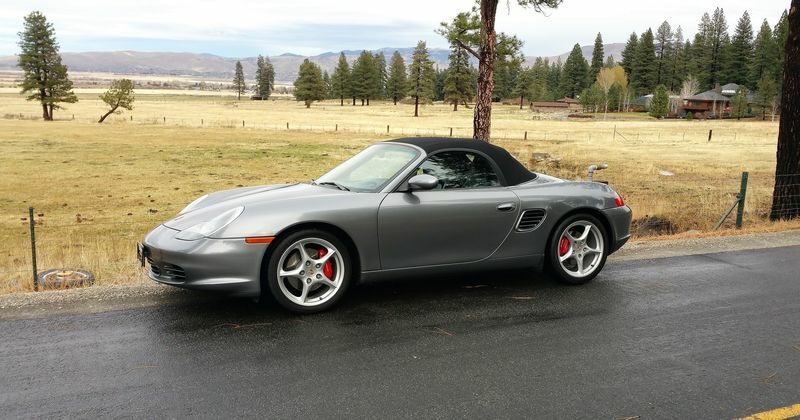 2004 Boxster S, 6 speed, seal grey, 24,700 miles. Outstanding condition. Interior perfect, no dents, no CEL on, factory Bose. Top perfect. Located in Nevada.